The awards gala on April 16 will also be a benefit for C-CAP. 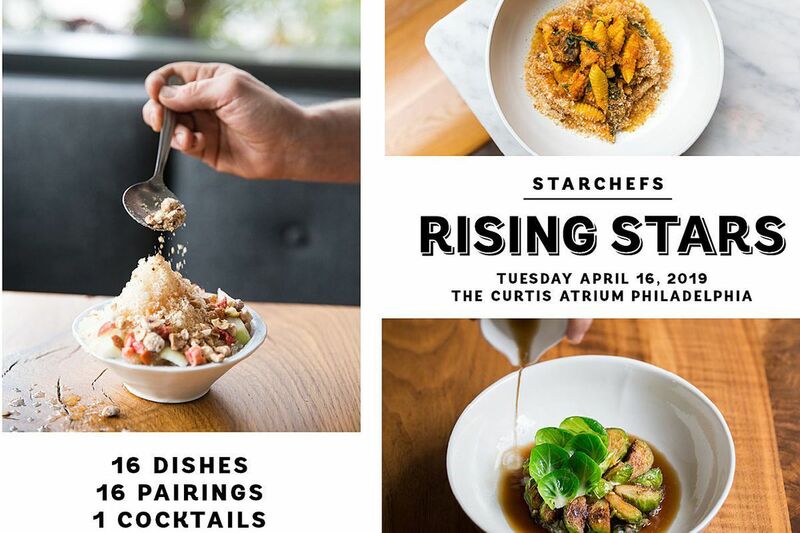 StarChefs, the national restaurant industry magazine, will come to Philadelphia next month to honor recipients of its Rising Stars awards. The Rising Stars, among them chefs and other hospitality professionals, will be celebrated at an awards ceremony and walk-around tasting gala, open to the public, on April 16 at the Curtis Atrium. A portion of the proceeds will benefit the Careers through Culinary Arts Program (C-CAP), a national nonprofit that educates underserved high school students. Guest chef Townsend Wentz of Oloroso will serve a warm spring vegetable salad with jamón Ibérico and Majorero goat cheese. Guest sommelier Etinosa Emokpae of Walnut Street Cafe will pour Spanish wines. Host chefs are John Suley and Monica Glass of Constellation Catering, and VIP host chef is Pierre Labine of Brûlée Catering. Since 2003, StarChefs has held awards in 22 cities and regions. This will be the 65th class of Rising Stars and the third from Philadelphia. The April 16 event starts at 5:30 p.m. with a VIP reception, followed at 6:15 p.m. by the awards ceremony at the Liberty View at Independence Visitor Center. At 7 p.m., it proceeds to the Curtis for the tasting gala. General admission is $95 and grants access to the tasting gala. VIP tickets are $125. Tickets can be purchased via starchefs.com/risingstars and Eventbrite.